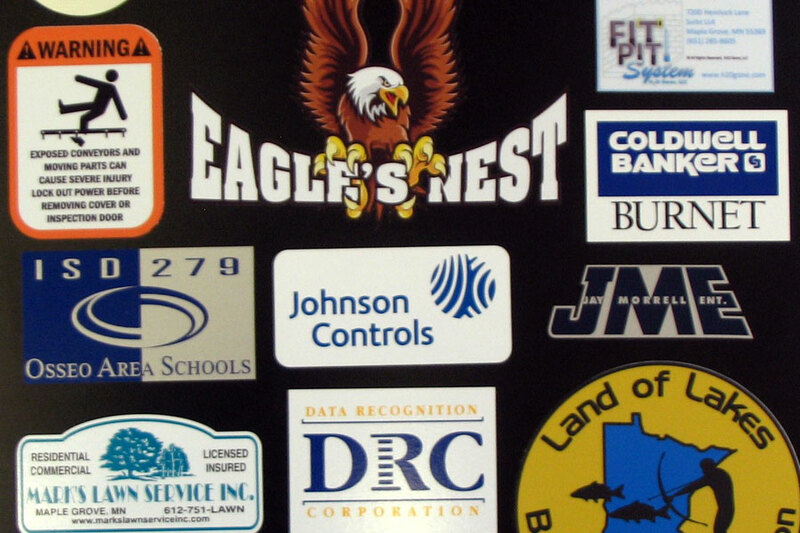 Labels are the most cost effective way to mark your equipment, advertise your services, promote company pride, brand your products or create advertising specialties. Labels can be made to adhere to nearly any surface. They can be contour cut to any shape and sized to fit most needs. Mark your work and build repeat business. It’s a business card that stays where it is needed. Custom labels are on-site advertising that generates repeat business. The investment in labels is a small expense and an excellent strategy to keep existing customers and remind them to schedule maintenance service. Choose the size and shape that works best for you. Design your own or ask for our help in designing your custom service label. Thinking a label could work for your idea!